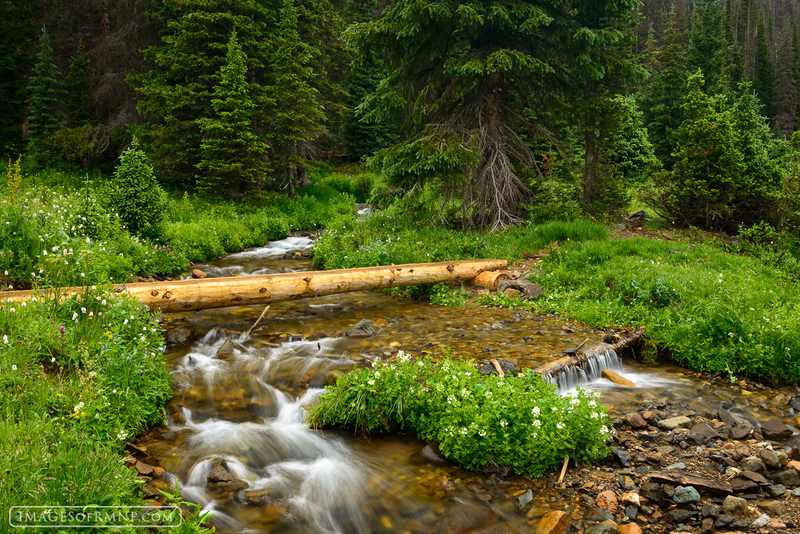 This bridge lies on the trail to Thunder Pass in the Never Summer Mountains of Rocky Mountain National Park. It had just rained quite hard a few minutes before this and so everything was damp and lush on this peaceful July afternoon. Photo © copyright by Erik Stensland.